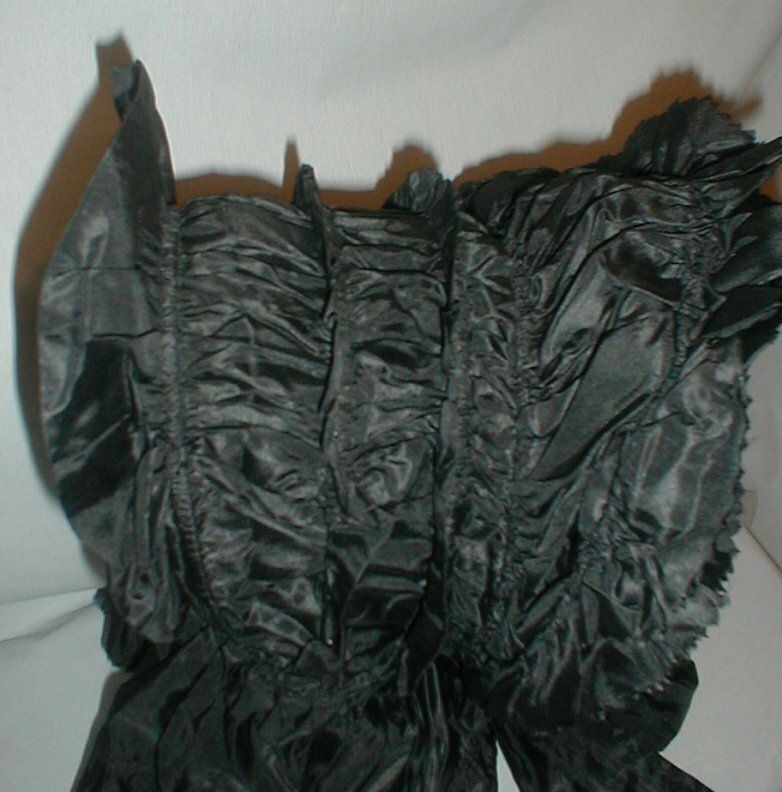 All The Pretty Dresses: Oh my! A very silly looking 1830's bonnet. 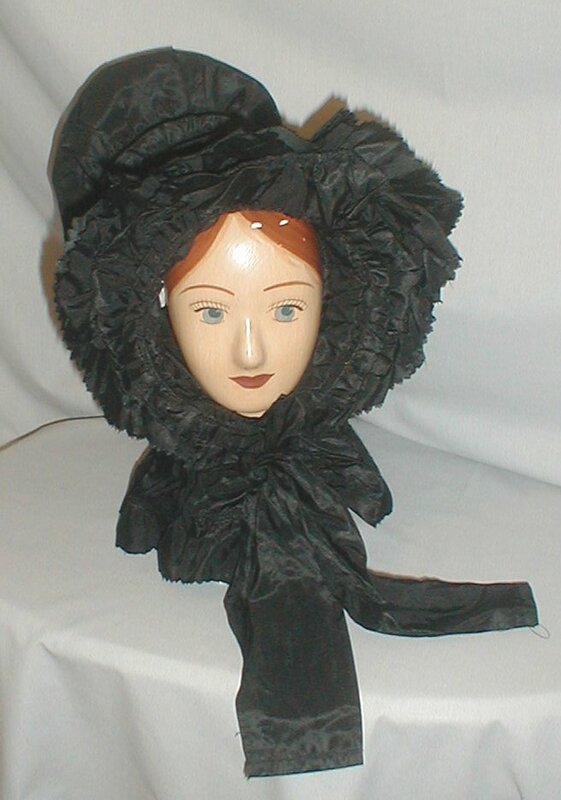 An early 1830’s black silk calash bonnet. 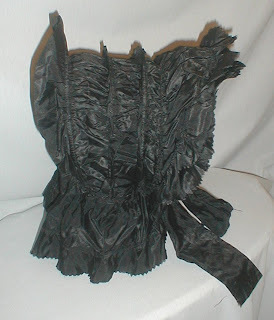 The fabric is laid over cane and wire hoops. 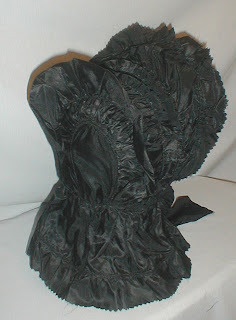 The bonnet is trimmed with ruffles that are pinked along the edge of the hemline. The 10 inch back curtain is trimmed in the same manner. 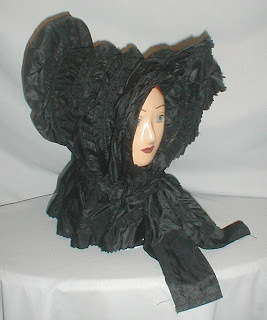 The bonnet has black silk chin ties. It is in very good condition. There are a few tiny pin holes but nothing major. 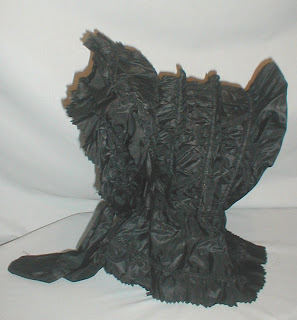 A very rare bonnet to add to an early textile collection.